Books on tape Got a cassette player? We have tons of story books on tape. Alpha Omega has just announced the imminent release of their long-awaited Horizons Math Pre-Algebra. This is the 7th grade to follow the 1st through 6th series. 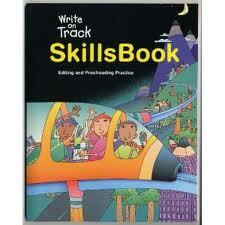 I am happy to report that it is in workbook format, a nice alternative to most of the rest of the publishers. Alpha Omega Publications® is excited to announce a course many homeschooling families have been eagerly awaiting, Horizons Pre-Algebra. 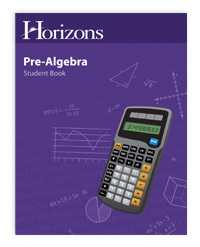 To be released early this year, Horizons Pre-Algebra is the colorful continuation of the award-winning K-6 math series. Recommended for students in grade 7 or 8, this course prepares students for upper-level math courses with a review of vital basic math concepts and a robust introduction to algebra, trigonometry, and geometry. Comprised of three titles, the packaged set includes a student workbook, a teacher’s guide, and a tests and resources book. I will be taking pre-orders for this particular set of items (all of the individual parts, or the complete set of Horizons 7th grade) at 20% off from now until May 1 (full prices are listed at the above link). Then it will revert to my normal 5% off. Pre-orders will need to be pre-paid. I do not have an exact release date but it is supposed to be “soon” and should be well in advance of next year’s school year.